Looking for fun preschool activities? 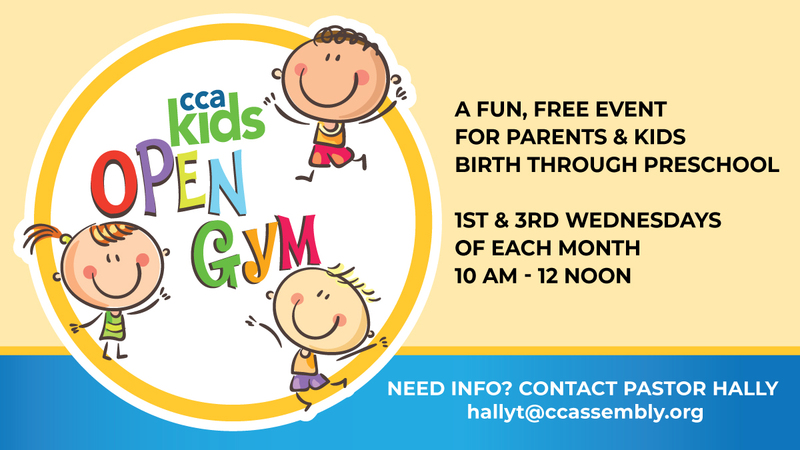 CCAkids invites you to Open Gym for parents and kids on the 1st and 3rd Wednesdays of each month, 10 am - 12 noon. This is a fun, free event for parents and kids birth through preschool with crafts and a small snack. The next dates include January 16, February 6 and February 20. Contact Pastor Hally for more info (hallyt@ccassembly.org).